BLOOD AND RAIN is ready for pre-order. Pre-order it at Smashwords, Kobo, Barnes & Noble and Apple now. Delivery will take place on 3 March. Amazon: USA, UK, Germany, France, Spain, Italy, Netherlands, Japan, India, Canada, Brasil, Mexico, Australia. Amazon will automatically load the book onto your Kindle on publishing day. The book has been priced at around €2.99 but buyers will be able to lower or raise the price at participating retailers. Blood and Rain is Villi Asgeirsson’s second novel. It is expected to be published on 3 March 2017 and should be available at all major eBook vendors. A limited edition paperback will be available and can be ordered directly from the author for €15 plus postage. It will be for sale elsewhere, but pricing may be somewhat inconvenient for most. And ordering directly is a surefire way to have your paperback signed. 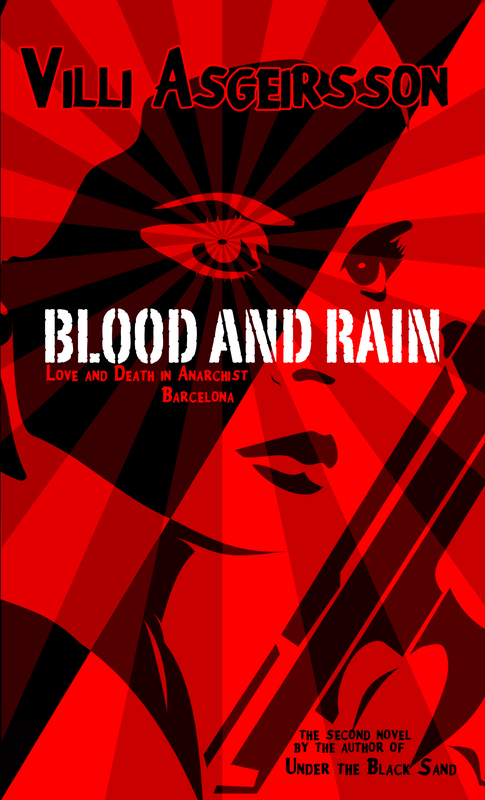 Two trailers were made for Blood and Rain, a one minute introduction trailer and a longer one with quotes from the novel. A previous novel, Under the Black Sand, is available. It is not a prequel to Blood and Rain.